A Polish startup company, Varsovia Motor Company recently formally introduced the concept of their prime for luxury electric car segment named Varsovia Concept. 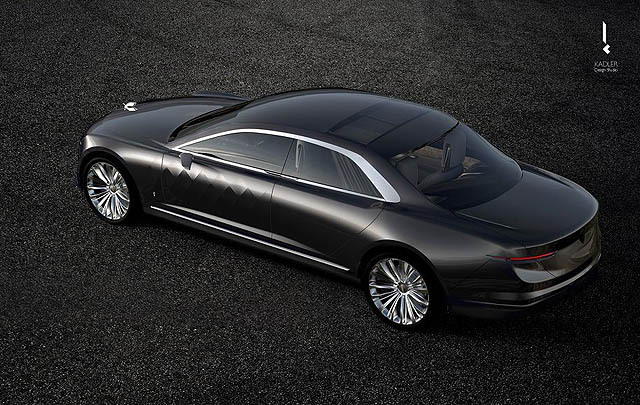 The concept car whose name translates referring to Warsaw (the capital city of Poland), has been designed by Kadler, a local design studio that takes inspiration from Sawa, the figure of the legend mermaid is depicted on the emblem of Warsaw, which is also described on the bonnet ornaments and other parts on the car's exterior and interior. 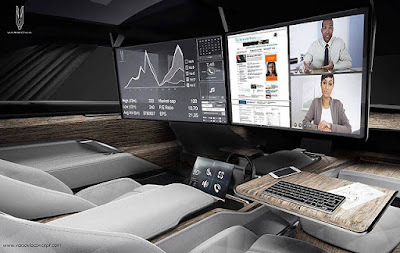 Varsovia Concept brings the futuristic style which is also transmitted to the interior, where the cabin seemed to be transformed into a 'luxurious office on wheels'. This concept car has no front passenger seat next to the driver was replaced by the presence of two 19-inch sized transparent screens and can be combined into a 38-inch sized screen, which can be drawn from the roof. The screen can be paired with the computer's built-in, keyboard and mouse, as well as the on-board tablet facilities. Passengers can use a folding table with a special stabilization mechanism, and to ensure increased comfort during travel, vehicles have what is called by Varsovia as "an extended spa system", which integrates the functions of a lighting system with audio-video systems and exclusive luxury seats. 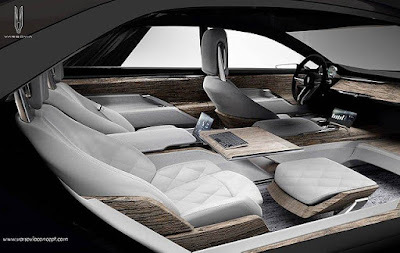 Another feature of the Varsovia's interior is there're no plastic made parts, because the company uses natural materials such as leather and aluminum. These materials combined with wood, silver and even mineral rocks. The parts that have the most frequent contact with the passenger's made of antiseptic materials, while the carpet and leather surface, which is exposed to pollution, has a hydrophobic nature, to prevent dirt from sticking to surfaces. Its powertrain side, the company said that the concept of luxury cars will be running on a Plug-in Hybrid Electric Vehicle (PHEV) system, that consisted with the electric motors with an internal combustion engine acting as a generator to charge the battery embedded in the floor of the vehicle. 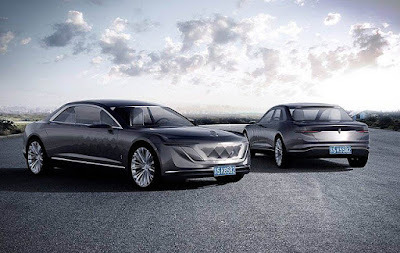 In full-electric mode, the Varsovia Concept claimed to be able to run as far as 350 km (217 miles), but after getting help from the internal combustion engine, its cruising range increased to 850 km (528 miles). The company also estimates Varsovia able to accelerate from 0-100 km/h in less than 5 seconds.